$199.00 & FREE Shipping on orders over $59. 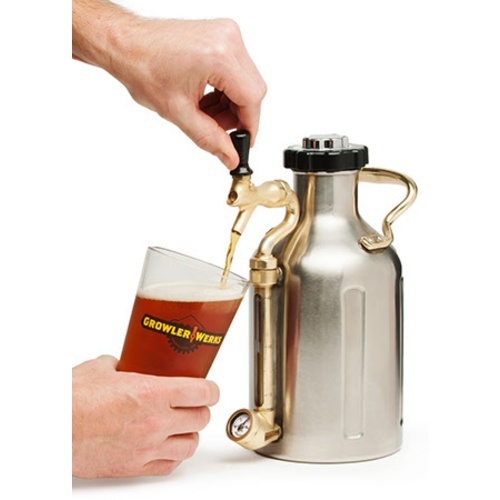 Introducing the all new uKeg 128 pressurizable growler from Growler Werks. Made from double-layer, vacuum-insulated stainless steel, this mini keg will keep your beer fresh and cold anywhere. 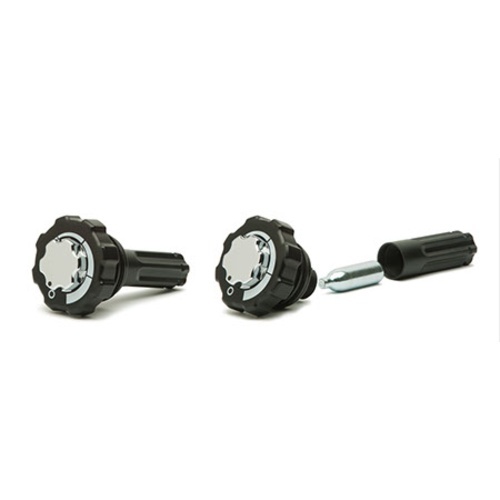 Fitted with a CO2 regulating cap and tap handle. Includes two 16 g CO2 Cartridges, brass handle and integrated pressure gauge. 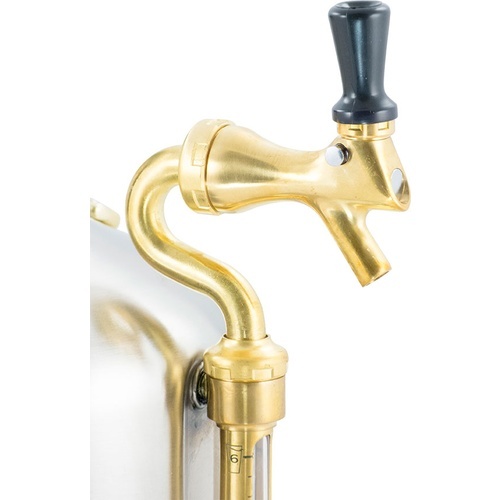 Built in tap allows you to easily pour beer any time you want and included tap lock prevents the flow of beer when you don't. Uses food grade 16 gram CO2 cartridges. This keeps your beer carbonated saving one from having to drink all the beer within a day or two. 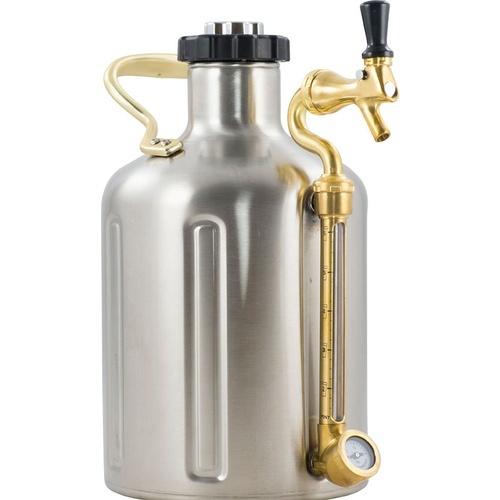 Excellent for easily transporting my beer to various functions, I always wanted to try local brews but growlers were always one of those things that seemed to result in loss of some beer through flatness or drinking too much so you wouldn't waste the beer. This is your answer. I have two and they are easy to use and maintain. I was able to keep my beer well carbonated for a good 10 days. It will pretty much dispense all the beer, maybe leaving a tick amount in the vessel. Way easier than transporting my draft cooler. It also has a cool factor. People can't help but come up and ask what it is. I usually keep it on ice but the insulation actually works quite well. So it can sit on table for a couple hours and still remain cold. My only complaint is with the company. They have a very good product but I think they are overwhelmed and cannot handle the customer service aspect which ticks a lot of people off. In rides MoreBeer. The fact that MoreBeer is selling this product would raise my confidence in ordering this product. I preordered this a year ago from the company and at times I thought this product would not materialize because I could not get the company to respond to questions and concerns as well as many others. I would not hesitate to order this through MoreBeer, their customer service is tip top. This growler flat out works and is a good addition to any home brewer. The fact that you can correspond with MoreBeer and get your questions answered and not Growlerwerks makes this win win product.